When you visit House of Diamonds and see our custom design technology and capabilities, you’ll understand why we are considered one of the premiere custom jewelry designers in the Midwest. We use the latest design and fabrication technologies including Computer Aided Design (CAD), Computer Aided Manufacturing (CAM), Rapid Prototyping and 3D Printing, Laser Welding, and Multi-Metal Casting Equipment. Our investment in these tools and technologies guarantees the finest custom designed jewelry. Visit with one of our talented jewelers and see why creating a custom piece of jewelry is such an exciting process, resulting in a treasure to be enjoyed for generations. Experience the pleasure in knowing that your design is a reflection of your personality and taste, and that it is built specifically for you! All diamonds are graded using GIA standards. 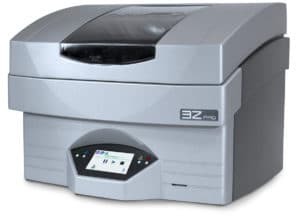 The 3z Pro is the latest and most advanced technology available today that is used in the jewelry industry. The accuracy of the Solidscape® PRO produces models of intricate designs with ultra-fine feature detail and a smooth surface finish that are ideal for wax masters, 3D printer jewelry applications, and more. Solidscape is the leader of 3D printer companies in the industry. Solidscape designs its three-dimensional printing machines with detail and clarity as a high priority. SolidScape®, Inc. is the leading manufacturer of high-precision 3D modeling rapid prototyping systems worldwide. 3D printing technology advances the state-of-the-art for computer-controlled fabrication of solid models. Solidscape® systems are designed for numerous manufacturing applications including jewelry, dental, jet engine turbine blades, medical instruments and prosthetics, consumer goods, automotive parts, electronics and many other high-precision products. 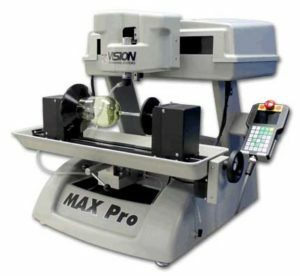 The MAX Pro Engraver was developed to be Vision’s most versatile machine to date, allowing for engraving of flat, deep, round or odd-shaped items in one compact, easy-to-use machine. 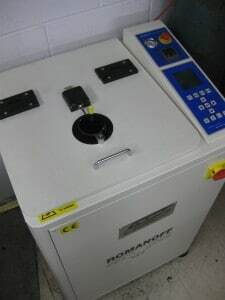 The system is frequently used as a glass engraving machine, but its automatic surface-sensing feature allows for flat and curved surface engraving on a wide range of other materials as well, such as plastic, brass, coated and non-coated metals, artificial stone, crystal, and more. 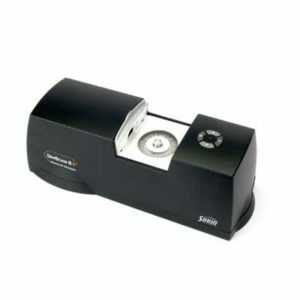 The GRAN DC3000 Full Spectrum Colorimeter ensures an accurate color grade. Even though most diamonds sold by House of Diamonds are GIA certified, this device allows us to verify that the color grade is accurate and matches the diamond. The SARIN Technologies Brilliant Eye allows measurements and proportions of any diamond to be evaluated so the quality of the cut can be quantitatively defined. More than half the value of a diamond can be influenced by the quality of the cut. The Brilliant Eye is a valuable tool in making an informed diamond purchase. In our efforts to better service our clients, we offer the latest advancements in Laser Welding technology. This allows our jewelers to construct and repair jewelry with the highest degree of precision. It is no longer necessary to remove precious stones from their settings to complete repairs. Seamless fusion of metals improves the finish and allows for a level of detail not possible with previous torch welding techniques. Combining old world craftsmanship with the cutting edge technology of CAD/CAM, our equipment allows an elevated level of detail and design perfection. This advanced technology allows our clients to view their creation in a rotating digital format before a model is actually produced. This technology also allows our master jewelers to evaluate the integrity of the design prior to beginning production. Our Rapid Prototyping machines are the pinnacle of custom jewelry manufacturing! It expands the possibilities of Jewelry Art to a level never seen before. House of Diamonds is one of only a few companies in the Midwest that owns and maintains this equipment for custom designed jewelry. 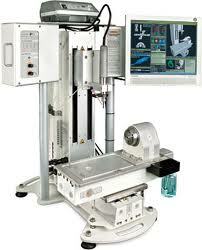 This equipment takes us from details measured in millimeters to details measured in microns. A micron is a measurement smaller than the human eye can perceive. It is the latest in fabrication technologies utilized by House of Diamonds to guarantee the finest custom designed jewelry available anywhere in the world. Our computerized centrifugal casting unit allows us to precisely cast our models into precious metals. This self contained unit uses argon gas to eliminate environmental contaminants, and ensures proper melting and cooling temperatures. This self-contained and safer method of casting metals permits House of Diamonds to be one of a very few elite independent jewelers to cast Platinum and Palladium in our facility. The REVO Mill B automated milling machine facilitates our CAD/CAM custom jewelry design process. This machine was one of the first to revolutionize the jewelry industry, to allow a degree of precision in crafting wax models never before attained.